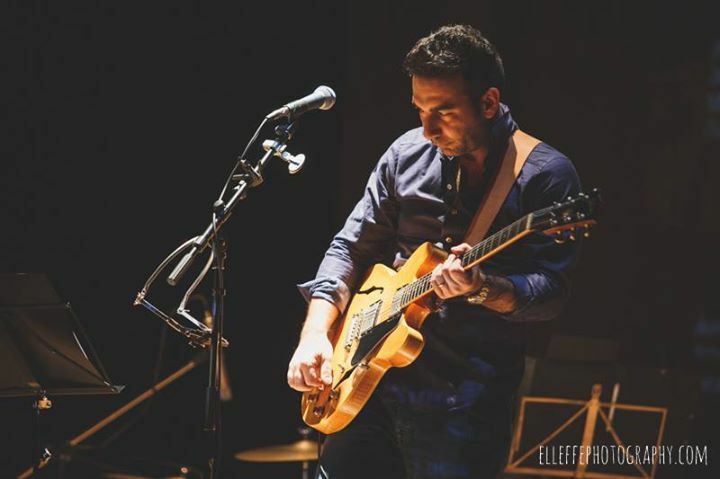 With "Shadows and Fragments" Luca Burgalassi wants to bring his own original songs, all written and arranged by him, on tour, live, together with other blues and jazz traditionals. An amazing journey, almost completely "unplugged", through the different areas, sounds and languages that have characterized the growth of twentieth century music: from the folk roots of the medieval ballads and Irish tunes, to American country music; from the plantation blues through the swing of the 20’s and the Jazz of the 40’s; from the 60’s beat, to acoustic rock of the 70’s’. A musical trip down history lane uniquely interpreted by Luca Burgalassi and his band. "Shadows and Fragments", released in 2015 by Videoradio Edizioni Musicali, contains ten original songs. The genre is a colorful mix of folk, country, blues, jazz, and rock influenced themes, all written and sung by Luca. The songs are in English, arranged and recorded with live acoustic instruments, including acoustic guitars and folk instruments, such as: dobro, banjo, mandolin, violin, cello, double-bass, accordion, drums and percussions. "…"Shadows and Fragments" is a sort of passage through my life, from past to present. Many of the songs had been written years ago, and left, unfinished, on an old pad, until I decided to pick them up again, breathe new life into the words, rejuvenate old tracks, compose anew the shadows and fragments that have accompanied me through the years…"
"Shadows" and "Fragments" are also the first and last songs of the album. Followed by "Orange Rooms", inspired by the life of Amedeo Modigliani, recounting the last days of his life in Paris and his relationship with Livorno; "Lord Randal", an original version of a Traditional Scottish medieval ballad composed by Luca Burgalassi, guest starring the English singer Wendy Nieper (Swingle Singers); two acoustic blues numbers, "Highs and Lows" and "Starless Night Blues"; and the instrumental track, "34, Orange Road", with finger-picking guitar in Open D tuning.